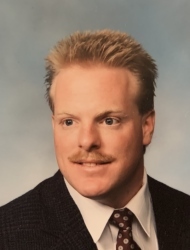 Scott A. Sanders, 54, passed away unexpectedly on Saturday March 23, 2019 at his home in Palmetto Bay, Florida. He was born October 9, 1964 in Atlanta, Georgia. He was the son of the late William E. Sanders Jr. and of Bremen, Georgia and the late Janiece A. O’Neil of Sumter, South Carolina. He was also preceded in death by his paternal grandparents O.R and Lucille Sanders of Bremen, Ga. and his maternal grandparents James and Majorie Adams of Cordele, Georgia. Scott was graduated from Bremen High School in 1983. He worked in construction from the time of high school graduation through his death. He loved his dogs, Lucky and Luke. As a child, “Einstein” loved to explore Lake Blackshear with his brothers, play football, and motocycles. As an adult, “Cornbread” still loved lakes and rivers, working on his cars, and his family. Scott is survived by his step-father Jack O’Neil of Sumter, SC; step-mother Caroline Sanders of Bremen, Ga; two brothers Bill Sanders of Pine Lakes, Fl and Steve Sanders of Florissant, Co; sister and brother-in-law Katie and Rick Jones of Sumter, SC ; sister and brother-in-law LeAnn and Chris McGraw of Mount Zion, Ga; long time girlfriend Sherron McNamara of Palmetto Bay, Fl; 4 nieces, 7 nephews, and numerous cousins. Scott will be buried at Sunnyside Cemetery this summer at the convenience of the family. His infectious personality and fierce loyalty will be missed by all who knew him. In lieu of flowers, please make a donation to a pit bull rescue of the donor’s choice.